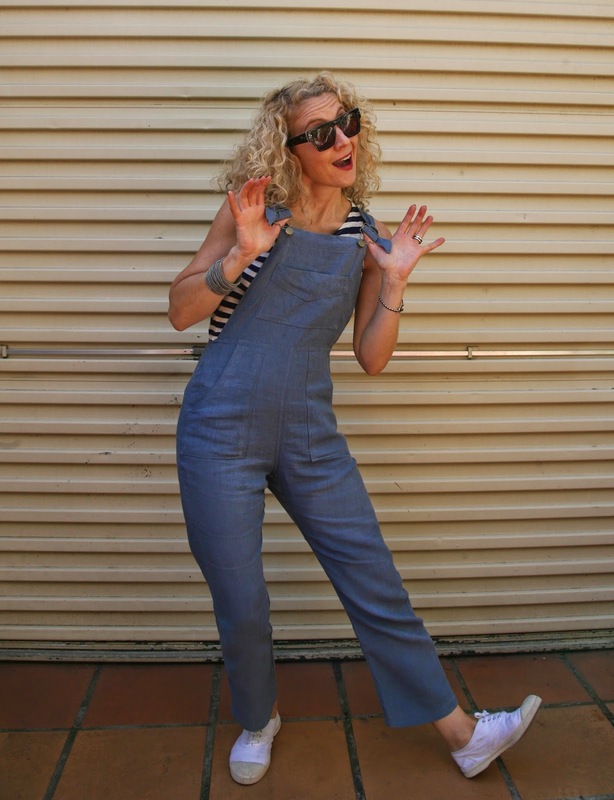 Ah sweet overalls (or dungarees). I forgot how much I loved to wear you. Last time I wore a pair of these was in my uni days back in the 90s. 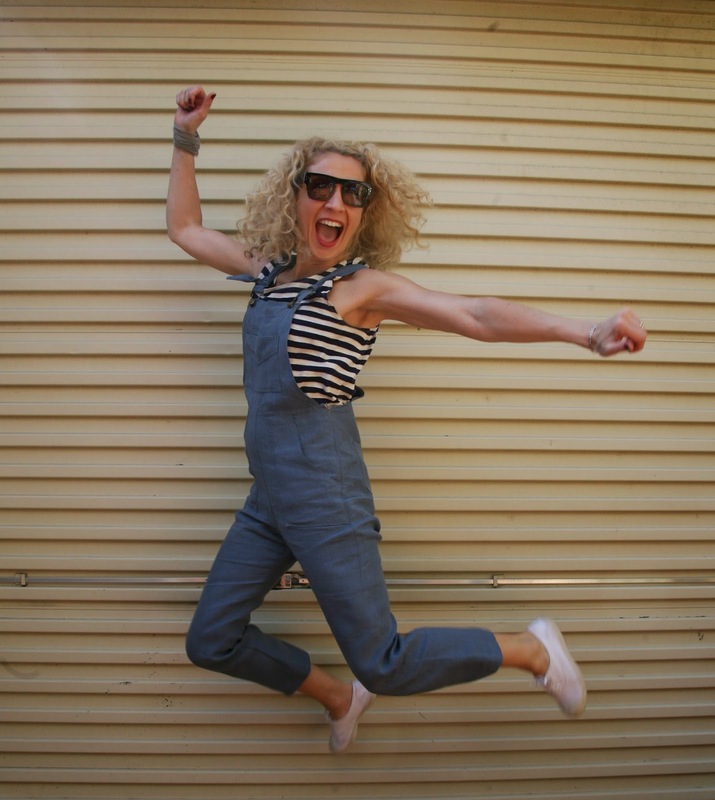 I had a black cheesecloth pair that were on super high rotation until one saaaaaad day when they ripped exactly where you might expect a pair of overalls to rip. Cheesecloth on high rotation will do that to a bum seam. - inserting just one zip, not the recommended two. - adding in some reinforcement top-stitching detail at Step 21, where straps meet back. I also shortened mine a little further because I didn't want to cuff them (the design is intended to be worn cropped). You know how some patterns are great for teaching or reinforcing a particular skill? For the Turia's, it's all about the flat felled seam. And top stitching. 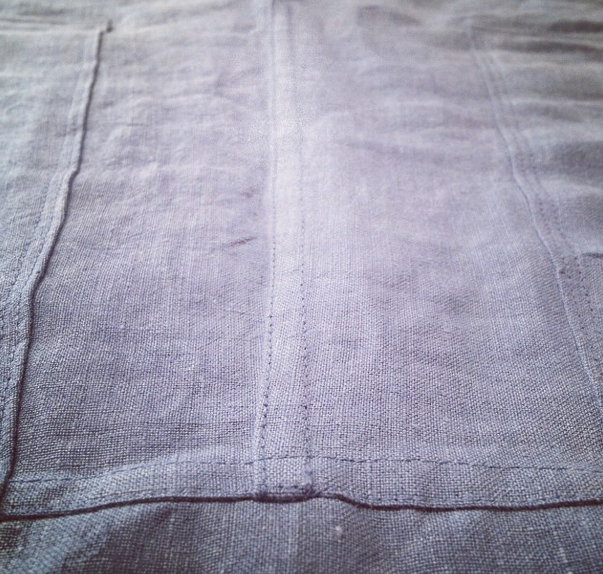 I tell you, there were some extreme levels of sewing satisfaction in these tidy seams. It's all in the finishes and the Turia does finishes extremely well. 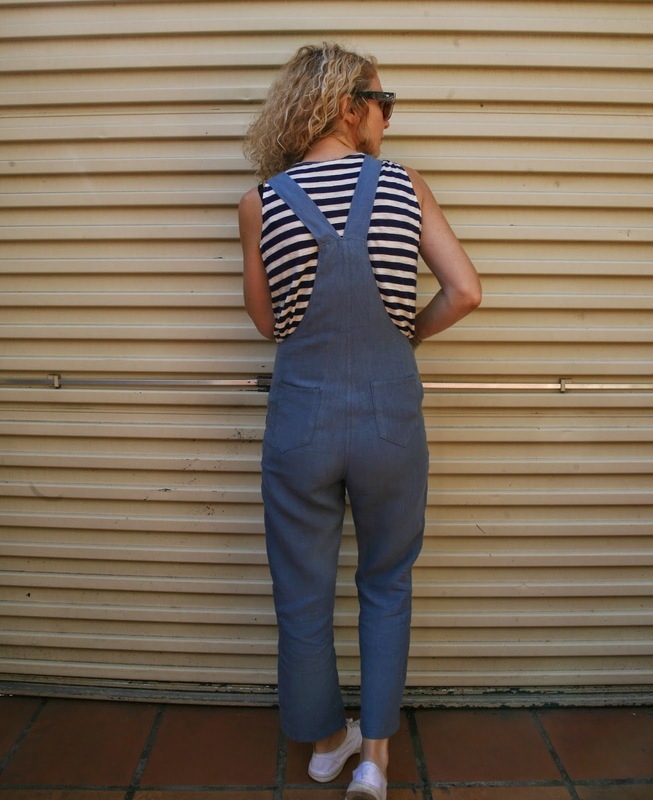 The fabric I chose was our 100% linen Wainscot Denim. This is one of my favourite shades ever - sort of a dark chambray that gives me a denim look with all the lovely softness of linen.